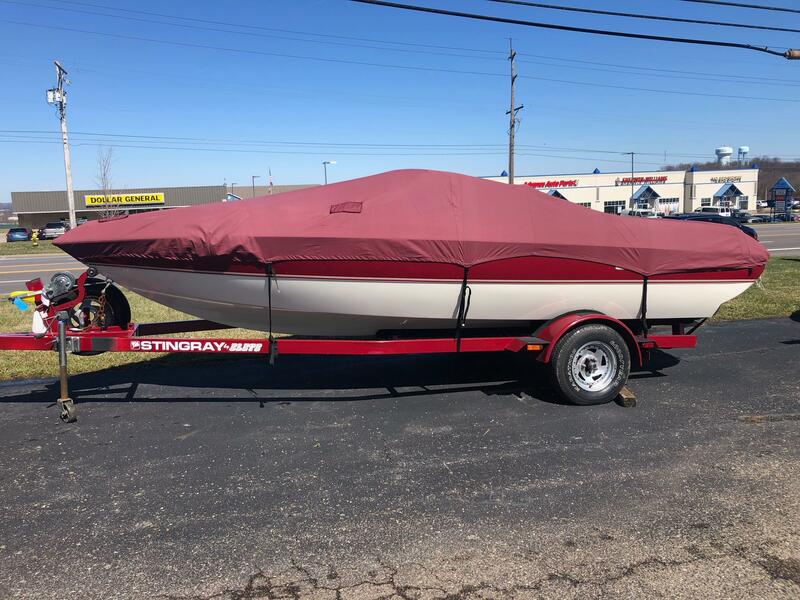 2000 Stingray 192R featuring a Burgundy Hull Side and Burgundy Mooring Cover. Powered by a 190hp Mercruiser 4.3L with an Alpha Drive and Stainless Steel Prop. She rides on a single axle Elete Trailer with Chrome Wheels and Brakes.